Hermeneutics 101: Was Jesus A Biblical Theologian? 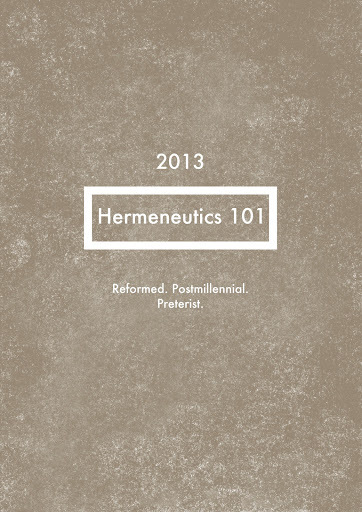 Jun 24 Hermeneutics 101: Was Jesus A Biblical Theologian? The idea of Jesus being a Biblical Theologian might be simple. But it is truly important to see if Jesus and His disciples interpreted the Old Testament the way that Goldsworthy advises in his book. I think the answer is a definitive yes that actually works to resolve many modern misconceptions. This class was tough. I wasn't able to print out my lecture notes for the students in the class. Because my outline was not in front of them, I attempted to alter the presentation to flow more naturally. I don't think anything turned out badly but I did constantly feel a little on edge of derailing my direction. Goldsworthy's full argument was presented in the class. But I'm not sure if I did a good job presenting that Goldsworthy was not making his full argument. He was solely putting together a solid case from the teaching of Jesus. I attempted to add to his argument in the lecture and felt like I did an okay job. There was a good amount of discussion afterwards. The idea of all prophecy being fulfilled in the passion week of Christ was a little mind altering for people. I do find some disagreements with Goldsworthy on this subject but that will come later. Jul 1 Hermeneutics 101: What Kind of Unity Does the Bible Have? Jul 8 Hermeneutics 101: What Is the Structure of Biblical Revelation?